Designer Erica Dorn can divide her creative career so far into two distinct stages: before Wes Anderson and after. Dorn was working in advertising and branding when she landed her dream job, becoming the lead graphic designer for Anderson’s most recent film, Isle of Dogs. The stop-motion animated feature is set in a dystopian Japan and follows a boy who goes in search of his lost dog after the entire canine species is banished to an island. It was Dorn’s first feature film, and she says that collaborating with the celebrated director unlocked a new creative process for her. Anderson is notorious for being a perfectionist and extremely detail-oriented. When Dorn joined the crew she at first supported head graphic designer Annie Atkins, who had previously worked with the director on his 2014 film The Grand Budapest Hotel. Atkins taught Dorn the "Anderson method." For example, Dorn learned to be more precise and to send Anderson just the right amount of visual references to simplify his selection process. "It felt like the Wizard of Oz," she said at D&AD Festival in London on Thursday. "He might not be physically there but he was omnipresent." After Atkins went on maternity leave, Dorn took over as lead graphic designer for the film. Getting the job had been a matter of being "in the right place at the right time," she said. Anderson had been looking for London-based designers with knowledge of Japanese language and culture, and Dorn was born in Japan, later moving to the UK to study design and illustration. Her experience shows that "opportunities can come from unexpected places," she told Campaign. She advises other designers to "nurture your relationships with people you know, because people want to work with the people they have worked with before." 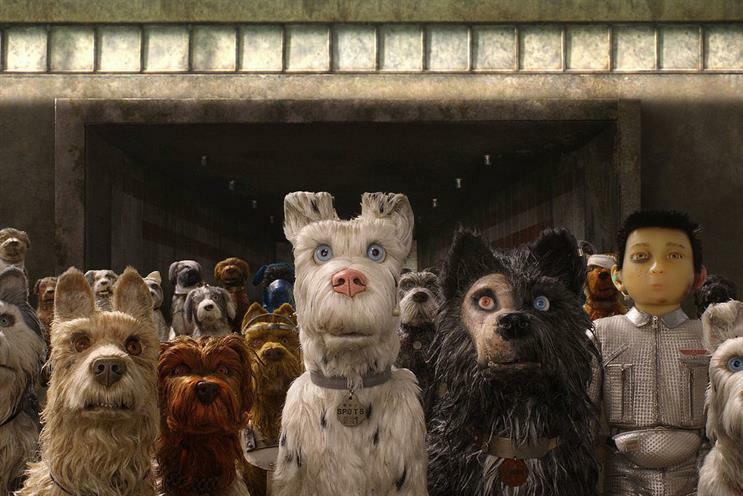 On Isle of Dogs she led up to seven designers creating all of the film’s graphics, from sake bottles to dog treats, helping to bring Anderson’s vision of Japan to life. She spent 26 months on the job. Now Dorn says she will take Anderson’s care for detail into her future work. She has also been influenced by his nostalgic style and has evolved her own creative process by incorporating more handmade elements into her designs. In a digital-obsessed age, that handmade quality is more often lost in design, but it can inject work with "personality and charm," she said. "It’s freer, and probably different to what the person next to you would do," Dorn said. "When you’re working in an office on computers there isn’t the space where you’re encouraged to experiment or throw paint around, but it’s important to make that space, even if it’s just a corner of your desk." After her stint with Anderson, it would be understandable if Dorn felt as if she had made it as a designer. But Dorn says she will never be done growing. Now eager to continue her career in film, she says she is retraining and studying more aspects of the business. And she is honing more of those classic handcrafted skills such as calligraphy. She shares this wisdom for other creatives who wish to follow her path and enter a world as magical as Anderson’s: "Just because I’ve done this film doesn’t mean I’m the hot ticket… I still have so much to learn."